Bain Circuit is also known as Bain Breathing System which is specially designed to offer better inspection of inner walls and attachments. 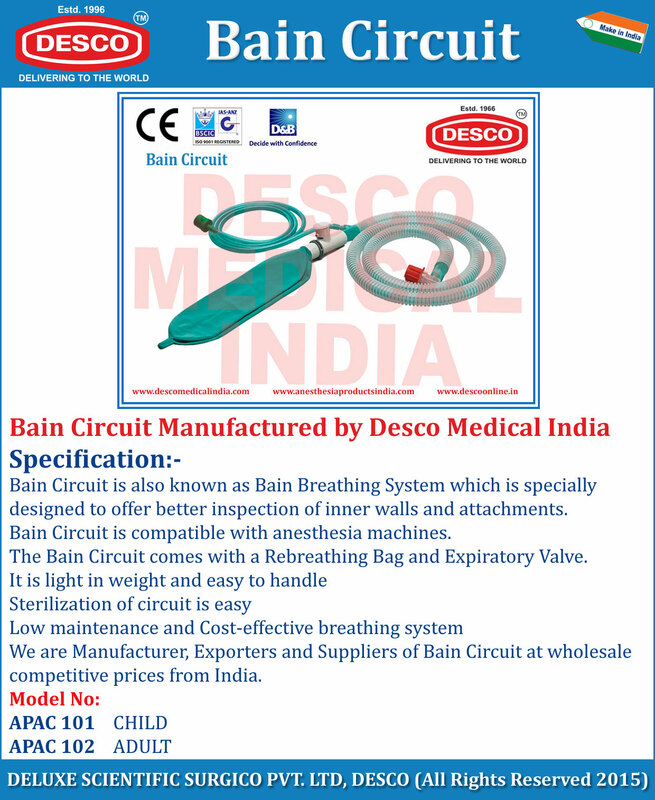 Bain Circuit is compatible with anesthesia machines. The Bain Circuit comes with a Rebreathing Bag and Expiratory Valve. We are Manufacturer, Exporters and Suppliers of Bain Circuit at wholesale competitive prices from India.